Tomoko earned her Bachelor’s degree majoring in social sciences at Waseda University in 2004 and was admitted to Japan Federation of Bar Associations in 2007. Tomoko started her legal career in 2007 in Linklaters’ Tokyo office as an associate. 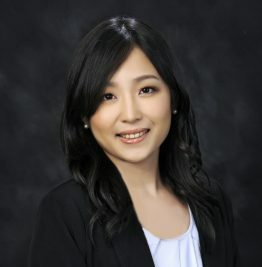 Specializing in capital market transactions, Tomoko undertook challenging assignments for worldwide leading companies in such fields as finance, litigation and alternative dispute resolution, corporate, tax, and corporate reorganization until Tomoko left Linklaters in 2013. Tomoko joined C&G Law in 2013 as a Japanese foreign consultant and has successfully expanded its Japanese client base through her assistance with Japanese companies together with lawyers in various matters such as corporate law matters, labor law matter, immigration matters, tax matters. Since moving to the Philippines, Tomoko’s contributions have expanded within the Japanese society in the Philippines. Since 2014, Tomoko has been writing a series of monthly columns for Daily Manila Shimbun, the only Japanese-written newspaper in Manila which provides Japanese nationals with basic information on daily life in the Philippines. In addition to the daily newspaper, Tomoko also writes a series of columns for the Japanese Chamber of Commerce in the Philippines. Aside from professional skills and knowledge, Tomoko also contributes to the Japanese society in Manila as a coordinator of the Japan Business Woman Association in the Philippines. Dealt with issuance of convertible bonds and hybrid securities including the first retail offering in Japan of corporate hybrid securities through an offshore finance vehicle. Reviewed regulatory matters, e.g. compliance, insider trading, short sales and incentive plan. Advised on MTN programmes and secondary offerings. Worked on alternative dispute resolutions regarding derivative transactions. Represented defendants on cases about derivative transactions. dduced information and pertinent pieces of advice in board and shareholders’ meetings. Advised on public offering of common shares. Advised on tax matters regarding equity and debt. Negotiated with offshore client, trustee and court. Conducted due diligence on equity offerings. Authored memorandums and legal opinions. Drafted and reviewed agreements, offering circulars, board minutes, article of incorporation and disclosure documents. Series of columns for Japanese Chamber of Commerce in the Philippines (since 2014). Series of columns for Daily Manila Shimbun (since 2014). Akihiro Wani, Reiko Omachi and Tomoko Okazaki (2012) Chapter 10 Japan. The International Capital Markets Edition 2. London, the United Kingdom. Law Business Research. Akihiro Wani, Reiko Omachi and Tomoko Okazaki (2011) Chapter 10 Japan. The International Capital Markets. London, the United Kingdom. Law Business Research.